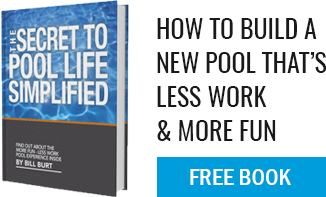 Do I really need to get my pool water professionally tested? YES! Unless you have a very expensive (and elaborate) test kit and can analyze the effects each chemical addition has on the other chemicals, a professional pool water test is extremely important. Most pool supply stores will offer this service and the benefits from a professional water test will save you significant amounts of time and money! Regardless of the type of pool (gunite, liner, fiberglass), the pool water will “attack” the pool if the water is not balanced (alkalinity, calcium hardness, dissolved solids, etc.). The interior finish on a gunite pool the liner of a liner pool, and the fiberglass finish on a fiberglass pool will all last longer and look better if the water is balanced. Also note that the “expensive” chemicals like chlorine and bromine work better in a balanced pool which will also save you money and frustration.